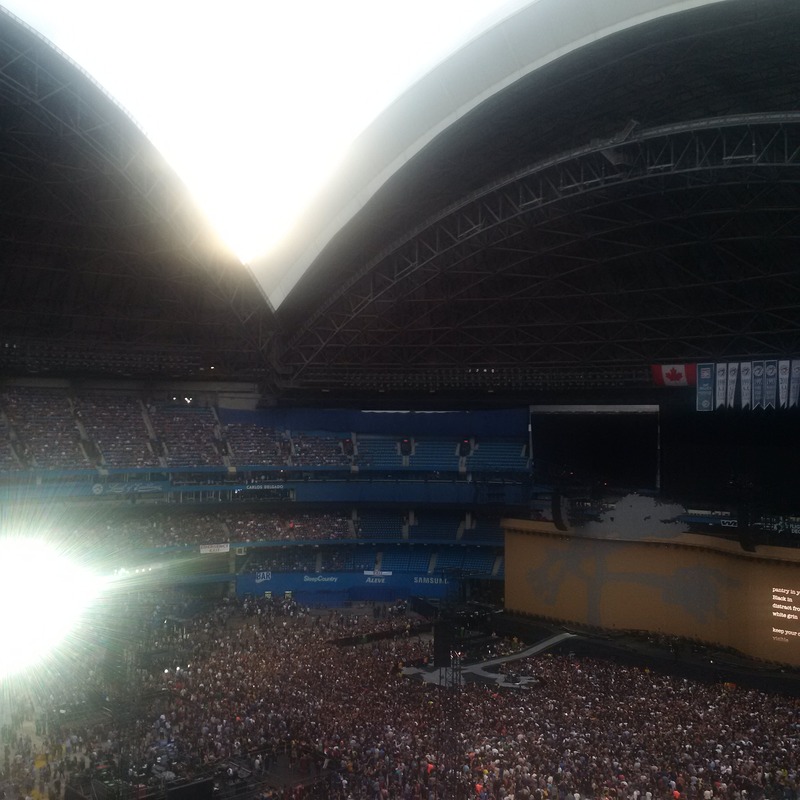 The best seller at the U2 concert last Friday at the Rogers Centre in Toronto was one of The Joshua Tree tour t-shirts that showcased how an old song can remain relevant today. As music fans know, the album opens with the song “Where The Streets Have No Name.” The opening lines of the song were printed on the t-shirts; the first line on the front, the second one on the back. 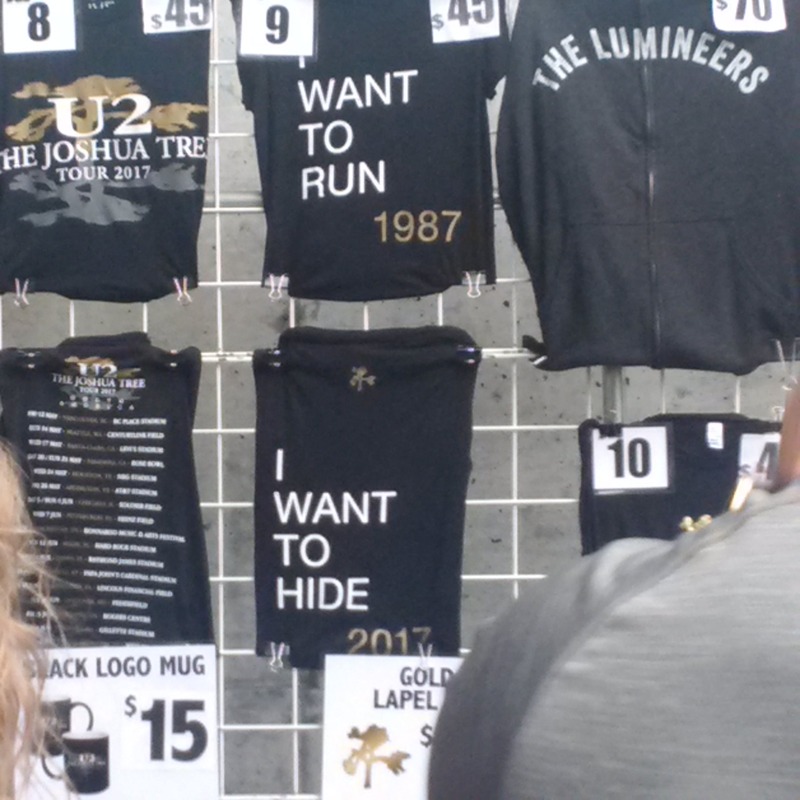 Two dates were added, so that the message reads: “I want to run – 1987” and “I want to hide – 2017.” I think a lot of people feel that way, judging by how briskly the shirts were selling. (For the record I didn’t get one – I just can’t bring myself to pay $45 for a t-shirt.) That got me to thinking. I sympathize with those who want to hide. It is a scary world at times in 2017. Wars and rumours of wars, terrorism, ecological disaster – take your pick, we seem to have it all. But you know, it isn’t all bad and hiding won’t solve any problems, not even your own. There is hope for those who seek it, relief from the burdens of life for anyone willing to take a chance on faith. Here in the west we have become culturally conditioned. Christianity is ignored and/or rejected by millions who never have taken the time to examine who Jesus was and is. No wonder they feel hopeless, no wonder they want to hide. The Joshua Tree remains just as relevant today as when it was first released in 1987. There are songs about war, accidental death, famine, suicide and state sponsored terrorism, just to name a few of the topics. Yet it is also an album of faith, hope and love, rooted in the band’s Christian faith. It doesn’t always seem like it, but God’s plan is unfolding. In 2017 we can run and be part of the solution. Or we can hide and be part of the problem. The choice is yours. May you too be faithful to peace, compassion, justice and joy.